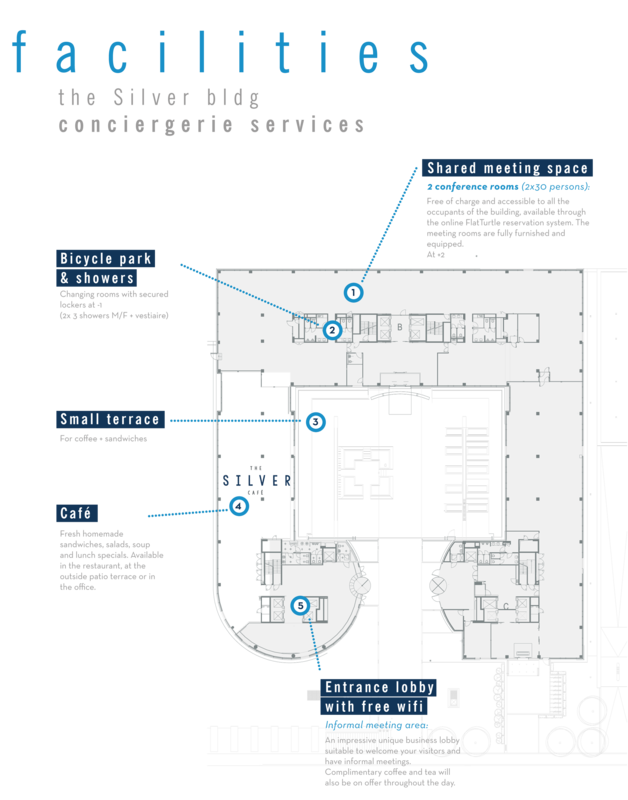 Because of its location and the strong identity of its architecture, the Silver building differs in its environment and enjoys excellent visibility. The Silver building with his resolutely contemporary architecture. Its sleek façade, made of glass and metal, lightweight and high-performance materials, reflects the spirit of the building design that combines elegance and functional efficiency. An open porch on the Boulevard Reyers clears the view on the large patio and the three main entrances. With an open view alongside the Boulevard Reyers, the upper floors have stunning views over all of Brussels. A full height glazing silhouette, that produces 42% more light than a building from previous generation. Opened on its 4 sides, the Silver BLDG is organised around a central patio which helps to add a nice natural light to all surfaces. 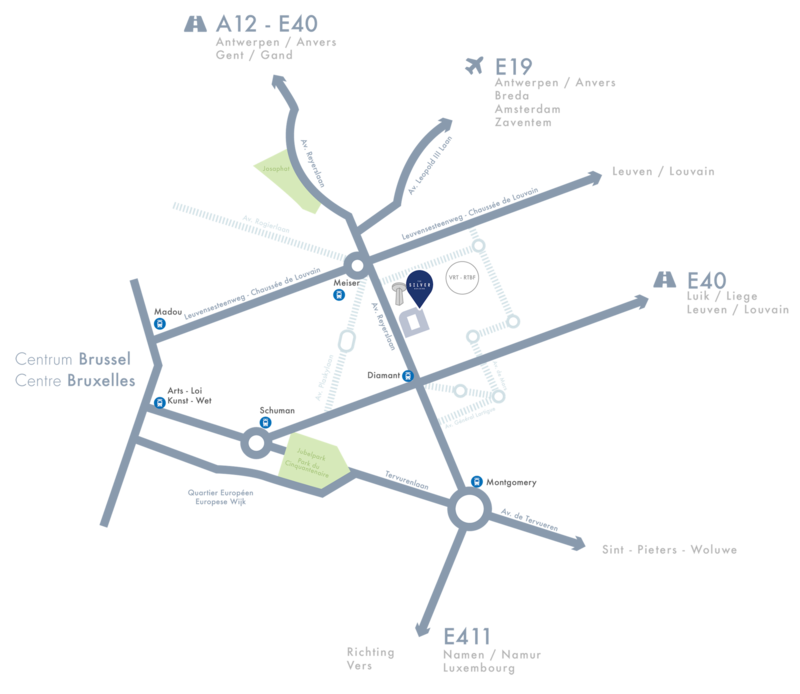 Located on the Boulevard Reyers, at the end of the E40 highway Brussels-Liège, in the eastern part of Brussels, the Silver Building ensures your company stays connected more than ever, close to the road network and city center. Numerous companies have chosen this location for its proximity to the airport and the residential areas of the east and south of the city. 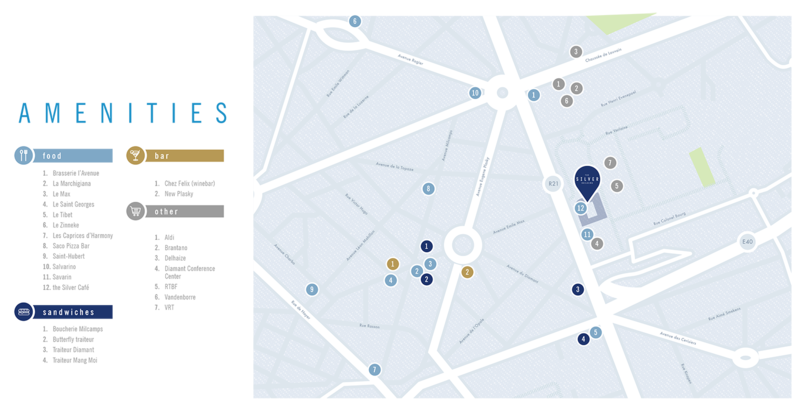 With the (pré)metro Diamant in front and the Place Meiser in just 3 to 5 minutes’ walk, the Silver building becomes very well accessible to all employees. The 'real time' situation of all buses & trams in the neighbourhood can be seen on the map at the very bottom of this page. Please click on the icons to see when the nearest bus/tram arrives or how many Villo!’s are still available. Horizontal and vertical efficiency that allows you to rationalize and regroup your employees. The Silver building is an office complex of ± 24.560,9 sqm. The complex is made of 3 variable entities around a large patio. 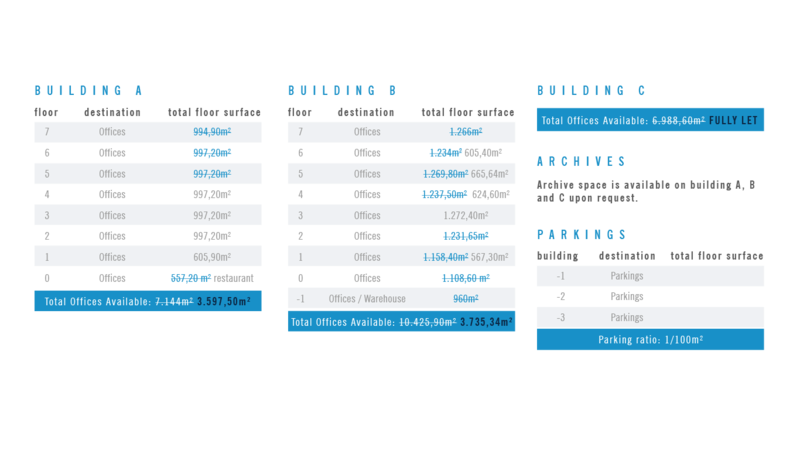 As each module is linked one to another, the Silver building can offer your organisation to 2.256,6 sqm offices on one floor. The floorplates of the B building are very easy to divide on request. 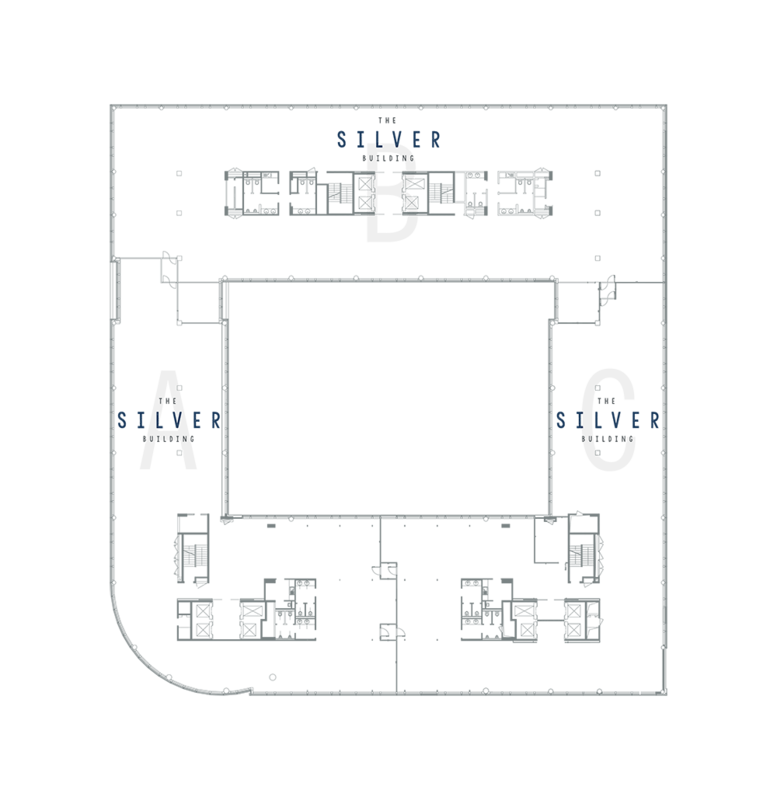 Highly flexible floor plans that work for almost any type of business. Highly efficient, flexible floor plates allow for very high density occupation. Special attention was paid to the flexibility of the office space. The layout of the building and partitions are based on alternating modules of 90 and 180cm, which allows you to get office spaces of 2,70m, 3,60m, 4,50m and 5,40m. 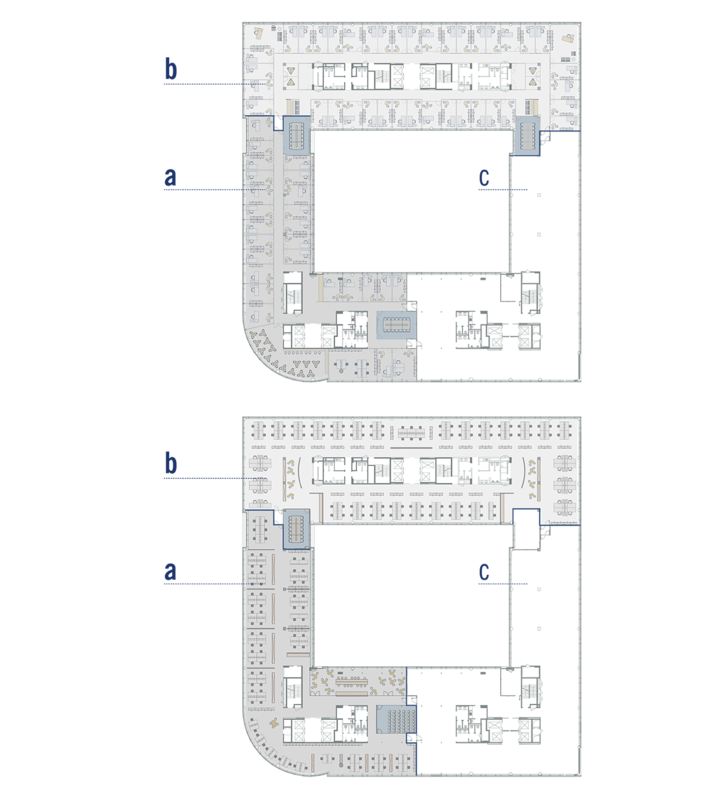 In combination of two different dephts of the wings of the building, the modularity gives you liberty in the layout of your premises and ensures excellent results on work post/m2 locative, in case of both individual offices and open space. Silver building is a building of Allianz Benelux. Click any icon for the next departure time.